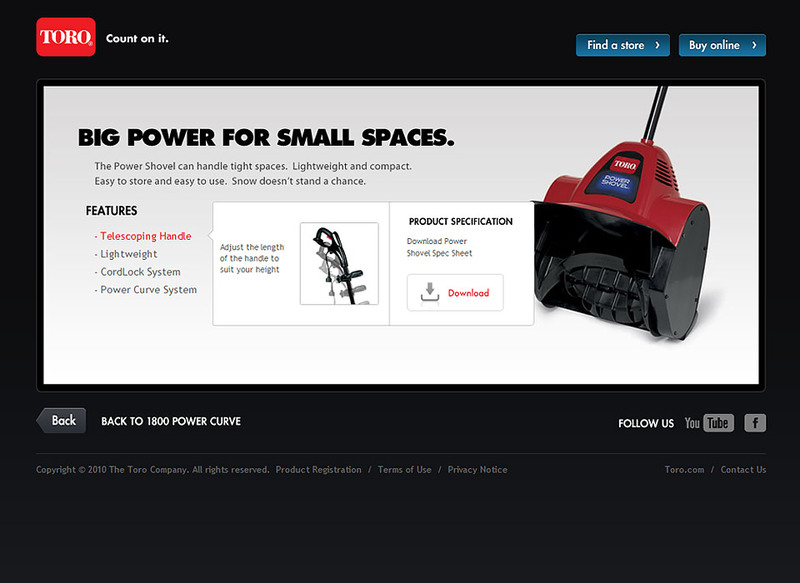 The Toro Company is an American manufacturer of turf maintenance equipment, snow removal equipment and irrigation system supplies for commercial and residential customers. 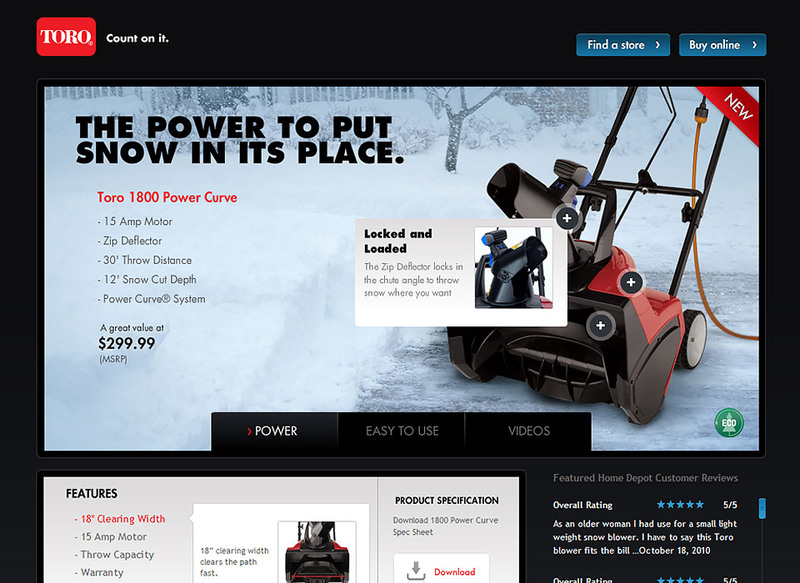 Toro invited us to partner with them on the new product release for the Power Curve electric snow blower. 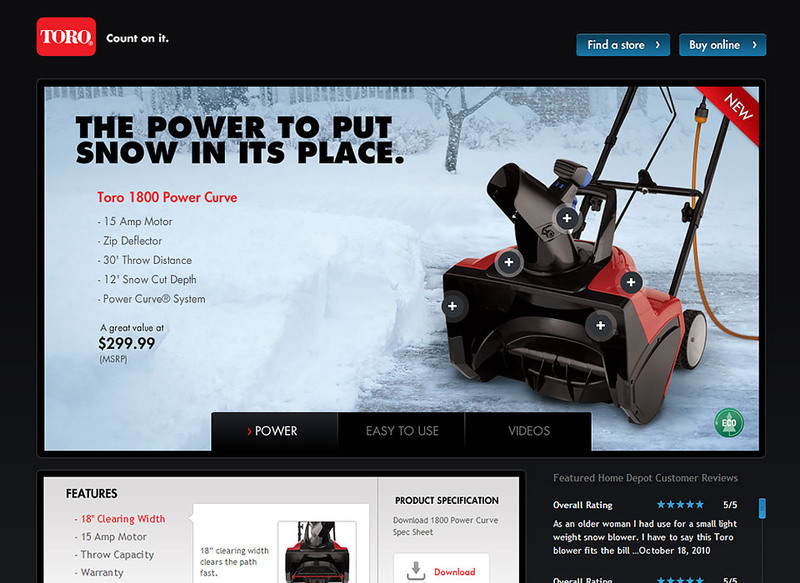 The Power Curve is one of the most powerful snow blowers for its size. 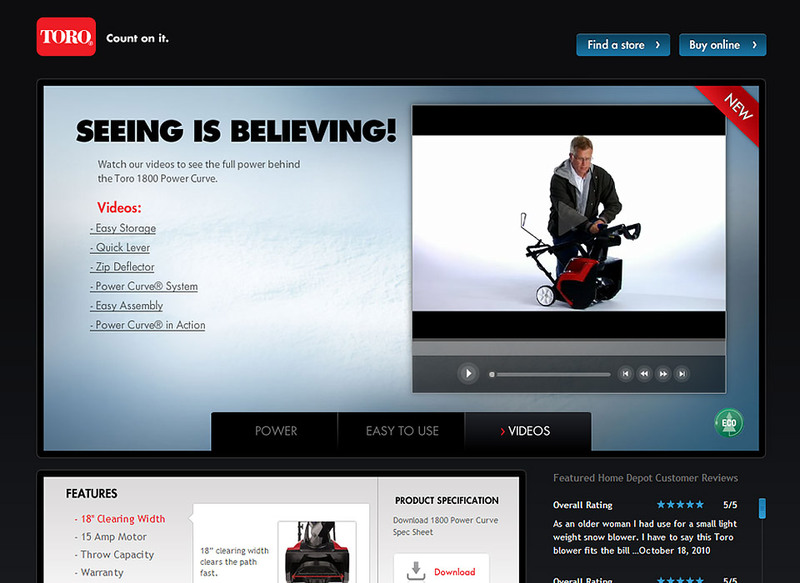 We unveiled the new Power Curve which included an interactive website and a banner ad campaign. 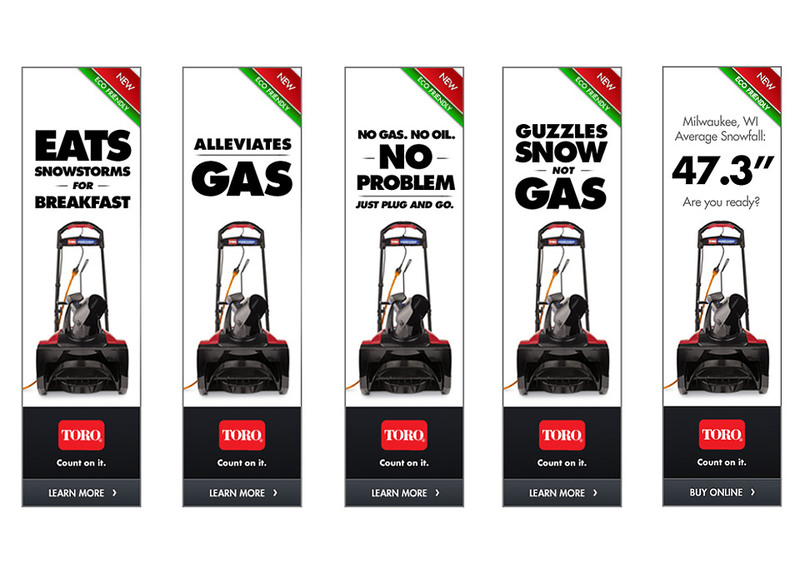 The fun banner ad campaign would activate in various cities around the country based on the weather patterns. If snow was in the forecast, the banner ad campaign would play and remind audiences of the importance to be prepared. 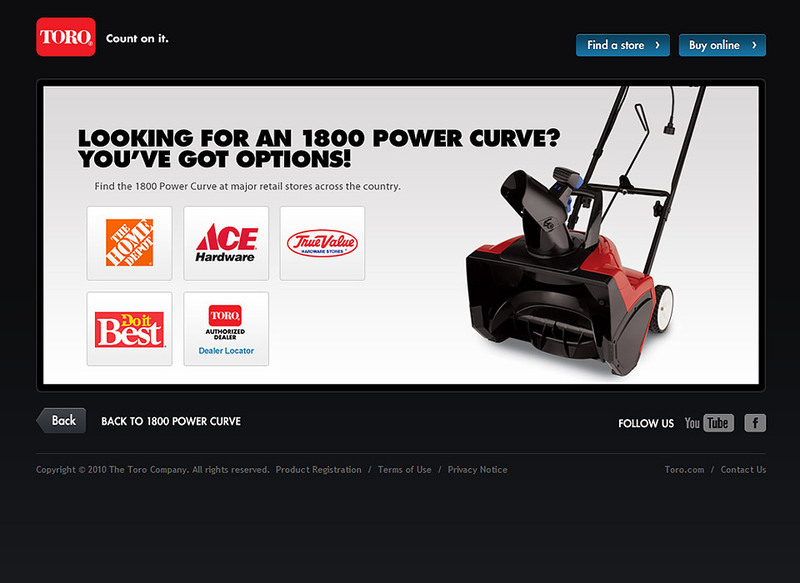 The banner campaign drove traffic to the Power Curve website. 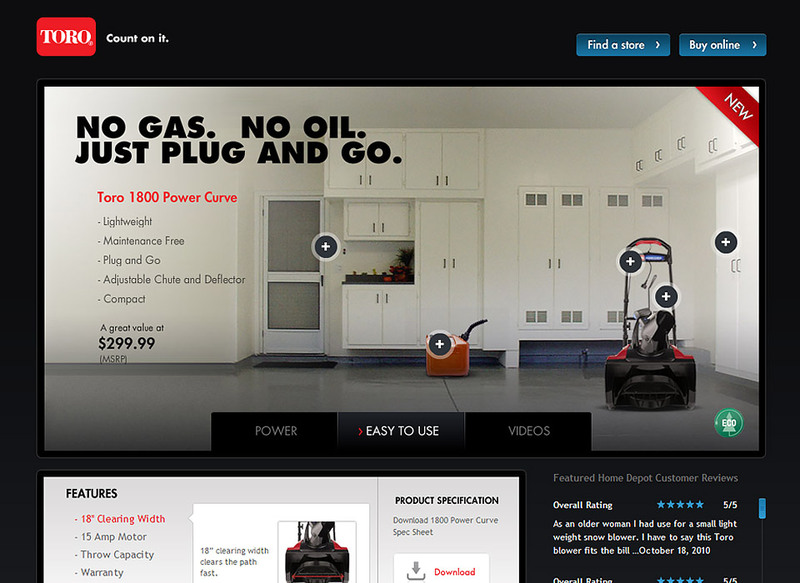 The fully interactive website included engaging product videos that highlighted how the product eliminated the need for gas, and showcased how light weight and easy to handle the product is. Visitors could also view detailed product specifications and could also easily visit a number of online retailers that carried the product.